Throughout my talks, there’s always a common question that arises. Why do leaders or managers often make bad decisions even when they have the best of intentions? The answer is primal. Our biases fill an essential role in the way we categorize the endless amounts of data to make decisions, and typically act apart from rational thought. On April 17th, 2018 in Philadelphia, the city of brotherly love, a Caucasian woman was preparing for her workday much as she had done the previous 18 months. She’s an educated person with a master’s degree who had successfully completed a comprehensive management program for her company that spends $35 million alone on their annual leadership conference. Company X’s approach to professional development is experiential in scope because they recognize the impact these experiences have on the mindset of their workforce. However, our subject in this story went into work that day and on a subconscious level, engaged in an action that exposed an issue Starbucks(Company X) managers around the world constantly face: act on the rules of engagement. No purchase, no bathroom and no loitering. She acted. Within minutes, she made a decision to call the police about two African Americans who she perceived as loitering, and to date, the cost for that kneejerk reaction is at $12 million and counting. $12 million for what? There were 1,100 stores in Canada and 8,000 in the US that closed to undergo a mandatory half-day bias training, and of course the subsequent fallout once this issue went public. Now the purpose of this blog is not for me to guess whether her actions were rooted in prejudice, but rather to decode the organic way in which our brain reacts to a perceived threat and how it influences all of us mere mortals. Yes, leaders that means you also!! Our research clearly shows that the bulk of the managers we survey believe unequivocally that regardless of the stress they are under, great decision making is possible. So, for our Starbucks example, science happened and it impacts business every single day. What I’m here to say is that there is a deeper, more primal process that is wired into our brain. A process that needed to be addressed well before our Starbucks manager was taught the “rules”. We are at an all-inclusive time in American history but clearly this was not part of this managers thought process during the encounter, something that her comprehensive training failed to address. See, the way our brain works is that it’s built for efficiency; not to take in everything. To help, the brain tends to prefer cliff notes to formulas. We call these cliff notes heuristics. If something you interact with is processed as a perceived threat or outside of your typical cliff notes, you will have a certain natural threat reaction. Basically, anything outside of your brain’s frame of reference or your ingroup is going to alert you that something is wrong. But every day leaders and managers seem to think they can defy science, to defy nature. What’s at the root of this is not name calling or “you’re a this and you’re being that.” The fact of the matter is there’s something else going on at a fundamental cognitive level. 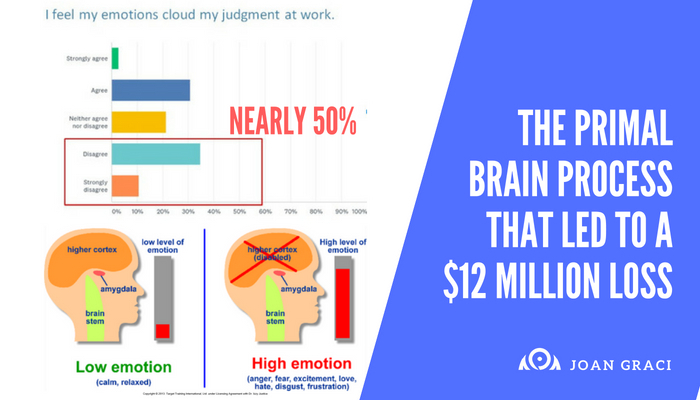 If the brain stores information it thinks is important and pulls from that information when needed for quick (sometimes 150 milliseconds) processing and decision making, then there is bound to be some unconscious bias that seeps in. However, thinking that a half-day training session will correct this is just not realistic. This isn’t a one and done thing and it isn’t something you can drop on people over a half-day, but it’s great public relations. Neuroplasticity is incredible but you have to work hard for this just like training for a marathon. Small or large companies – Don’t get blindsided by issues associated with ignoring diversity and inclusion initiatives. Watch Erikson Neilans, PhD and I as we unpack this hot button topic brought to light by the recent Starbucks debacle, and give you a sneak peek into the training methods that matter.